HIGH-END SIGNAL CONDITIONING: R3 data acquisition system is built around SIRIUS DAQ technology and features the same versatile and powerful amplifiers for world-leading signal conditioning. 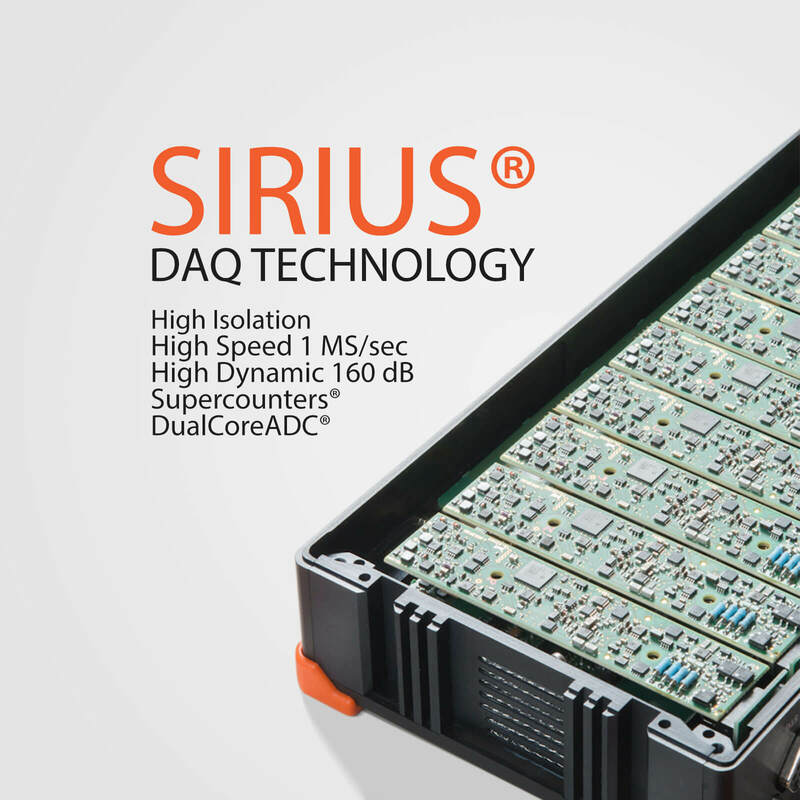 Check out SIRIUS product page for detailed DAQ technology overview. UP TO 48 ANALOG INPUTS: R3 can be configured with up to two SIRIUS DAQ slices for total of 32 analog inputs for virtually any sensor. UP TO 24 COUNTER/ENCODER INPUTS: Up to 16 counter/encoder or 48 digital input channels, all equiped with our patented SUPERCOUNTER® technology. UP TO 3 ISOLATED CAN PORTS: Up to 3 high speed CAN 2.0b channels with 1 Mbit/sec data throughput with additional support for CCP, OBDII, J1939, and CAN output. HIGH PERFORMANCE COMPUTER: PC computer inside is built with standard off the shelf computer components which allows easy upgrade of hard-drive, memory, CPU, and other components. 19'' RACK MOUNTABLE: The included PC chassis can be mounted in any 19'' rack cabinet. SOFTWARE INCLUDED WITH FREE LIFETIME UPGRADES: Easy to use, yet very robust in functionality, award-winning DEWESoft X3 software is included. Software comes with lifetime free upgrades and no hidden costs, bringing you intuitive configuration, smart sensors, advanced storage and analysis capabilities. R3 is a data acquisition system build around SIRIUS DAQ technology. It features DualCoreADC® analog inputs with 160 dB dynamic range and acquisition speeds of 200 kHz per channel or optional high speed amplifiers with speeds up to 1 MHz per channel. R3 chassis can hold up to three SIRIUS DAQ slices with total of 48 analog channels, 24 counter/encoder channel, 72 digital channels and 3 high speed CAN bus ports. An array of different amplifiers are available for virtually any signal and sensor. Learn more about SIRIUS DAQ system​​​​​​​. R3 data acquisition system is built into standard PC computer component chassis and allows for simple DIY upgrades of standard, off the shelf PC components and even SIRIUS DAQ slices. CPU, memory, graphic card, hard drive, or even SIRIUS DAQ slices can be simply exchanged and upgraded. R3 can be easily mounted into 19-inch rack cabinet. The aluminium chassis includes handles with screws or easy slide-in mechanism.